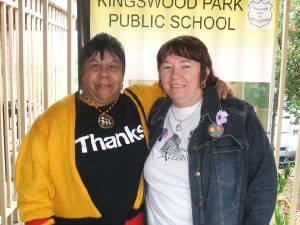 Evan a wet miserable day could not dampen the enthusiasm of the teachers, parents and pupils of Kingswood Park Public School when it came to celebrating Apology day. 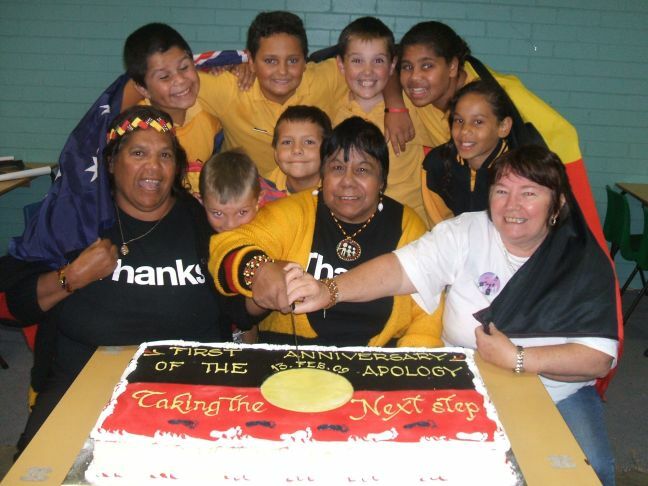 NSW Delegates Mary and Lily of the Stolen Generations Alliance accompanied by the NSW Patron Valerie Linow went along to celebrate the day with the 260+ children assembled there to hear and relive the celebration of the Apology. 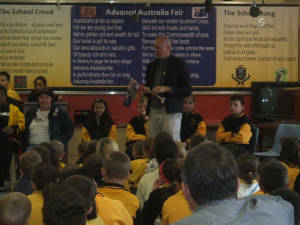 We were greeted at the gate by the children and ushered into the recreation hall where Mary introduced us to the children. 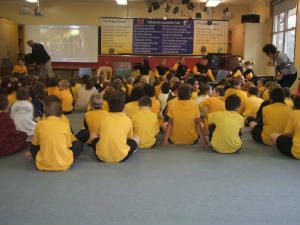 The principle Mr Abby asked the children some question on the Apology and then the footage of the Prime Minister giving was shown. 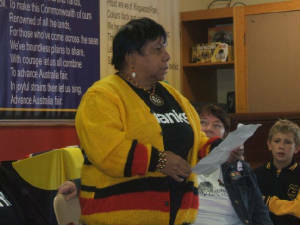 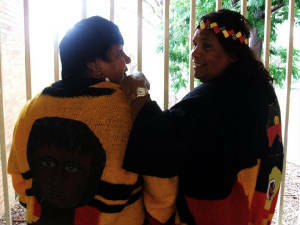 Mary then introduced Auntie Val who gave a talk on her own experiences of being one of the Stolen Generations, children gave a warm response to her and Mary, not only for their interaction with them but also for the unique and colorful Koori clothes they were both wearing.